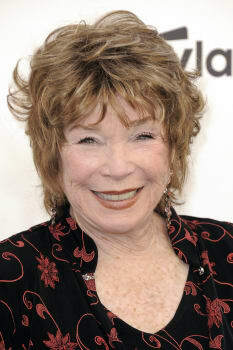 ZillowShirley MacLaine bought the 7,450-acre property and added onto the adobe-style main house. Actress Shirley MacLaine decided to buy the Plaza Blanca Ranch in Abiquiu, New Mexico, as soon as she walked in for the first time. She noticed the view, then sensed that a dancer had died at the top of the staircase and wanted MacLaine to buy the ranch, she told Oprah Winfrey during a 2012 video-taped tour. The Academy Award-winning actress and new age thinker, 80, bought the 7,450-acre property and added onto the adobe-style main house, making two separate residences, plus a spiritual retreat space in a subterranean level. There is also a yurt, caretaker's house, swimming pool, horse barn and chicken coop -- all of it off-the-grid and sustainable, with greenhouses for growing food. Over the years, MacLaine hosted spiritual retreats at the ranch and spent a lot of time there with her dog, Terry. From her porch, she says, she has observed UFOs, and she built a labyrinth of rocks to aid in meditation. In televised tours, her mantle was crowded with Academy Awards and Golden Globes, and the table in her dining room was the one used in the film "Terms of Endearment." MacLaine told The Wall Street Journal she consulted a psychic about the listing price and decided on $18 million. The ranch was a spiritual retreat for her and a place where she spent a lot of time, but the actress said she wanted to move into Santa Fe to be less reclusive. 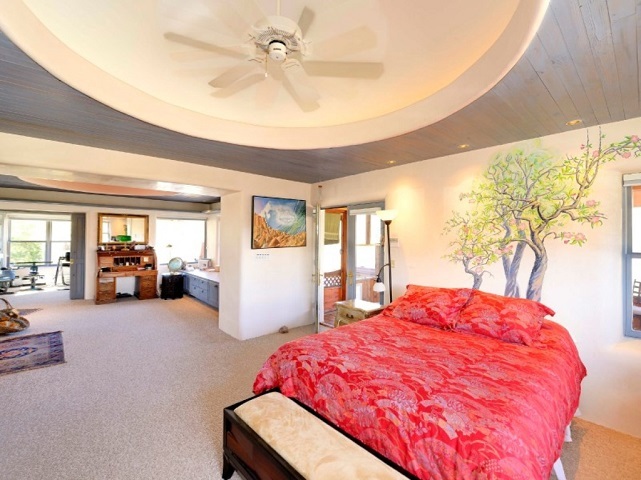 The listing is held by Lynden Galloway at Sotheby's International Realty in Santa Fe.